Chiropractic began in the United States in 1895. D.D. Palmer adjusted Harvey Lillard’s spine and the rest is history. Although the profession is over one hundred years old, it has existed in primitive forms for many years. The German “bone setters” were similar to modern day chiropractors. The Chinese walked on each other’s backs and practiced tuina, a form of manual therapy. The ancient Egyptians also manipulated the spine, according to papyrus documentation. Today, chiropractic is the largest drug and surgery free healing profession. It is natural, safe, effective and affordable. Millions of people are helped each year by the healing hands of chiropractors. The truth is the spine is a very important structure. It protects your spinal cord or lifeline. 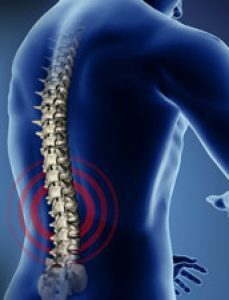 There is no such thing as a spinal transplant, so you might as well take good care of your spine. You must maintain correct posture on this gravitational planet, or joint and disc tissue will degenerate. What happens when a car tire is out of alignment? The tread wears out. Same thing happens to the weight bearing joints and discs in the spine if they are abnormally stressed.